I have been trying to decide what to write today. I have this post a brewing in my head regarding the moment I have pinned down that WoW ceased to be fun and became a job. Problem is, I feel it is far too introspective to end the week on. Instead I figured I would update on the progress of Belgarde in Minecraft. 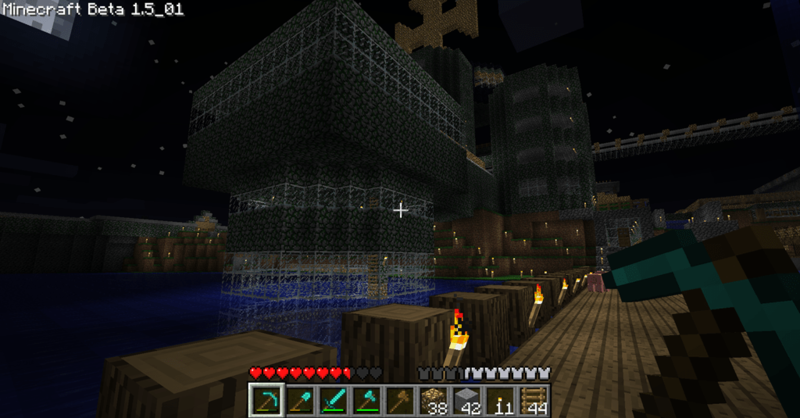 This week I was happy to get back on the House Stalwart Minecraft server again. With the 1.5 patch, it broke Craftbukkit that we use to maintain our server. The number of bugs in 1.5 lead the Bukkit team to hold off updating for a bit, so we were forced to either downgrade to 1.4 or just simply stay disconnected. Personally I had other things going on so I didn’t go through the downgrade process. 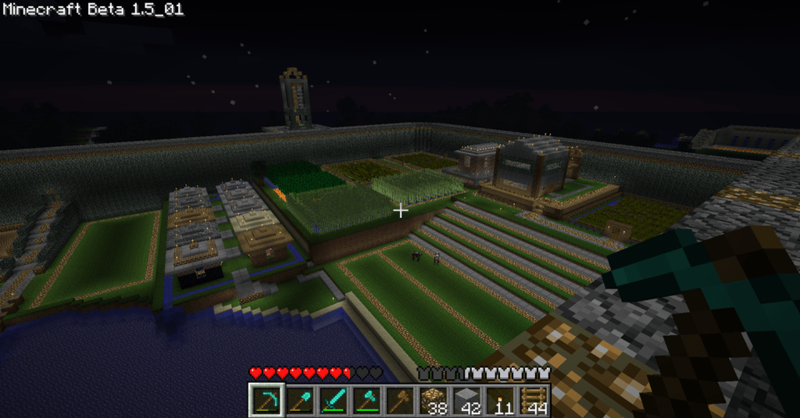 Last time I posted about Minecraft, I said I was working on a sheltered farmland area. 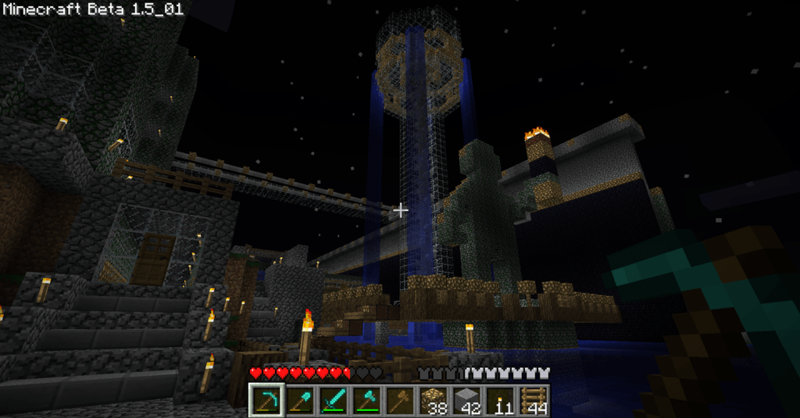 This has been completed and here are a few screenshots above of the area. 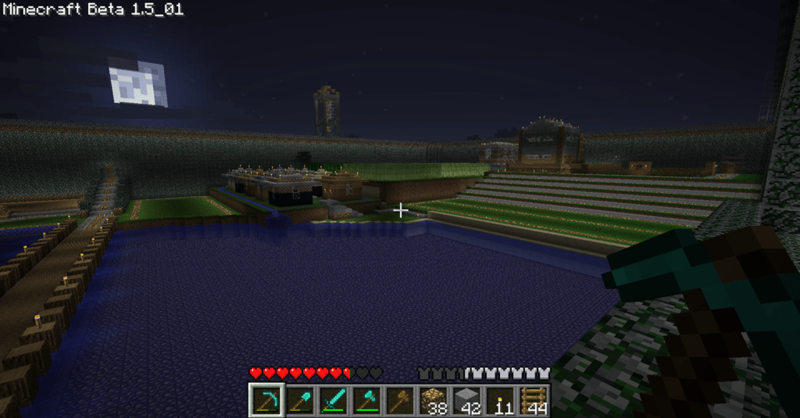 These show the fields, 2 farm houses, condos, and the completely sheltered docks. The area is free of monster spawns and adds to the large safe zone that is contained in Belgarde city area. In keeping with the flow of topics today, I will be highlighting Belgarde’s Royalty. Currently the dockside castle area includes a throne room, but no real living quarters. It was my intention to build these extending below the waterline in the earth. This was one of the features I started to flesh out and then never went back for. So currently being out of pressing projects, I decided to start building this area out. 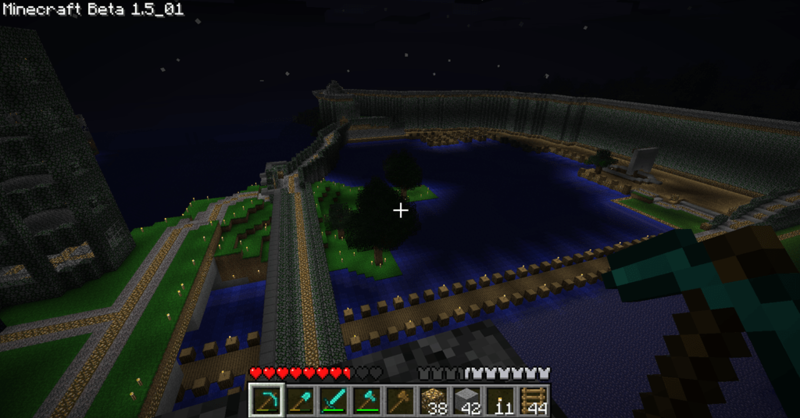 The above image shows the portion of the castle that extends out into the water. 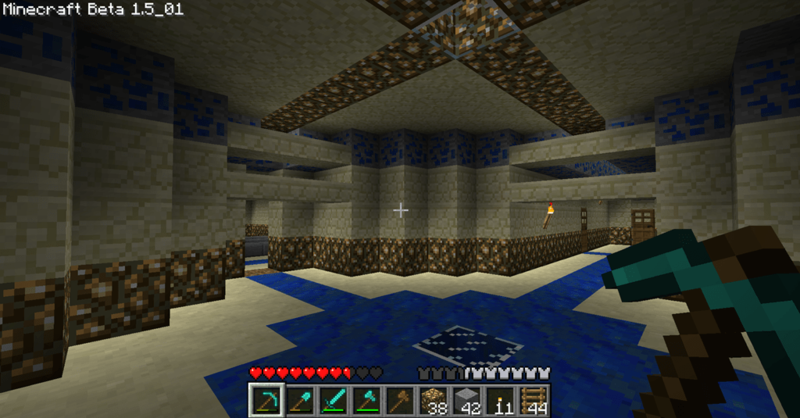 There is an access shaft that leads down to the royal quarters, which is several floors below ground. The idea is, that keeping the quarters underground, would keep them safe from attack. The above image is the central nexus that breaks out into separate hallways. Included here are a number of chambers that have yet to be decorated, as well as an audience chamber with throne. My thought is this is where the majority of private business would be conducted for the city of Belgarde. One floor below the royal quarters is the servant quarters. If the royals live below ground, so would all of the servants that take care of the castle. The idea in them being a floor below is that so visitors would never see them. Below here I have fleshed out 12 dorm rooms, a large kitchen with a small dining room, and a workroom. 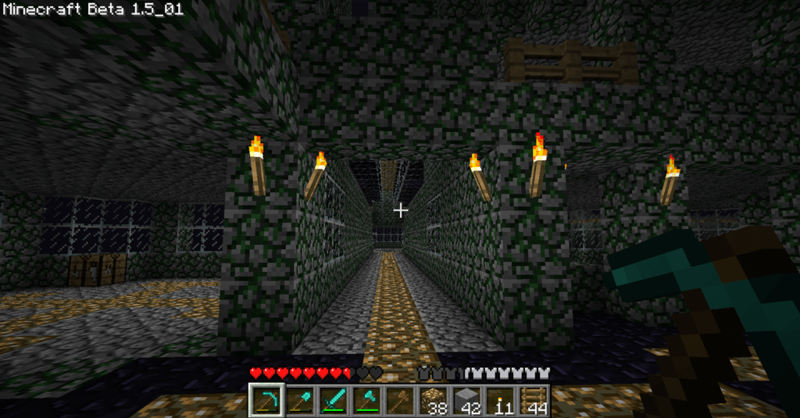 My plan is to continue downwards and build out additional levels. The current idea is to build out a storeroom directly below the servants quarters. Following the storeroom would be a prison to hold any criminals that have not been deemed as combatants in the arena. 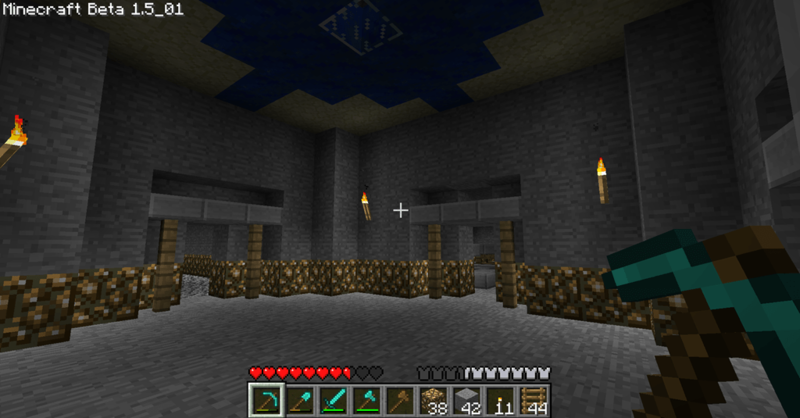 Below that would be the royal vault, with all manner of traps along the way. Just because I can, I am embedding the Minecraft Song by Bobby Yarsulik. I seriously love this song, I am not sure why but to me it really fits this game. He has gone on to create many other minecraft themed songs. You can find him on facebook, or on twitter @byarsulik. Personally I think Notch should license this song for the menu in game. If you love the song too, you can pick up all his minecraft themed music over on itunes. So I just noticed that this is post number 100 for me. It doesn’t really feel like I have done that many, but according to WordPress I have. Just adding this in as an unimportant footnote.